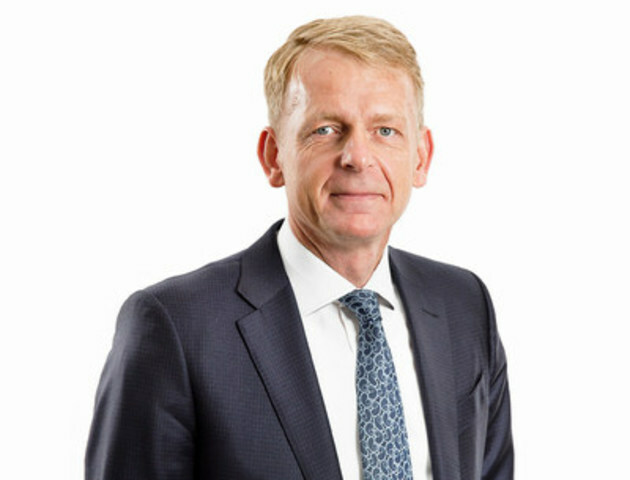 TORONTO, Jan. 11, 2016 /CNW/ - Ontario Teachers' Pension Plan (Ontario Teachers') today announced that Bjarne Graven Larsen has been appointed Executive Vice-President and Chief Investment Officer, effective February 1, 2016. He reports to President and Chief Executive Officer Ron Mock and will be based in the plan's Toronto head office. Mr. Graven Larsen is former CIO and executive board member of ATP, Denmark's largest pension plan and the fourth largest in Europe. He was most recently Chief Financial Officer at Novo A/S in Copenhagen. Between these two engagements he led the successful turnaround of Denmark's sixth largest bank, FIH Erhvervsbank A/S, which was acquired by an ATP-led Danish consortium. Mr. Graven Larsen heads Ontario Teachers' senior investment leadership team, which was recently restructured to reflect the evolving global pension investment environment and comprises: Senior Vice-Presidents Andrew Claerhout (Infrastructure & Natural Resources); Wayne Kozun (Public Equities); Ziad Hindo (Capital Markets); Jane Rowe (Private Capital); Michael Wissell (Portfolio Construction); Regional Managing Directors Jo Taylor (EMEA) and Nicole Musicco (Asia-Pacific); John Sullivan, CEO, Cadillac Fairview; and Dan Houle, Vice-President, Investment Operations. In making the announcement, CEO Ron Mock stated: "With his investment expertise, global experience, forward thinking on risk management, and importantly, hands-on work within a total return framework, Bjarne is uniquely positioned to be our Chief Investment Officer. He has the experience and vision to lead our world-class investment team into our next generation of global growth." "I have admired the innovative work and success of Ontario Teachers' for many years," said Mr. Graven Larsen. "I consider this position to be a career opportunity of a lifetime and I look forward to learning from the outstanding team here and sharing my experiences with them as we work together to deliver members' pensions. I have a passion for the pension sector, which is one of the most invigorating and important in the financial services industry, and I am committed to Ontario Teachers' leadership in it." Mr. Graven Larsen is also former managing director of Denmark's largest mortgage bank, Realkredit Denmark, and a former monetary policy director at Denmark's central bank, Nationalbanken. He received his Masters in Economics from the University of Aarhus in 1989. The Ontario Teachers' Pension Plan (Ontario Teachers') is Canada's largest single-profession pension plan, with $154.5 billion in net assets at December 31, 2014. It holds a diverse global portfolio of assets, 80% of which is managed in-house, and has earned an annualized rate of return of 10.2% since the plan's founding in 1990. Ontario Teachers' is an independent organization headquartered in Toronto. Its Asia-Pacific region office is located in Hong Kong and its Europe, Middle East and Africa region office is in London. The plan, which is fully funded, invests and administers the pensions of 311,000 active and retired teachers in the province of Ontario. For more information, visit otpp.com and follow us on Twitter @OtppInfo.